Many people who have bariatric surgery succeed in losing weight and maintaining most of that weight loss. However, sometimes the initial procedure is not as successful as the patient and physician hope. In this case, revisional surgery may be an option to consider. Here are 5 FAQs Dr. Bhoyrul is often asked about these operations. Revisonal surgery is a weight loss treatment that follows a previous weight loss surgery that did not lead to as much weight loss as the surgeon and patient hope for. 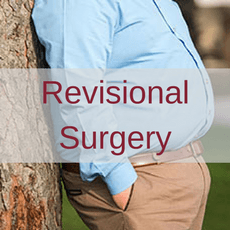 Revisional surgery can also be used when a patient regains significant weight after initially losing weight. Am I a candidate for revisional surgery? 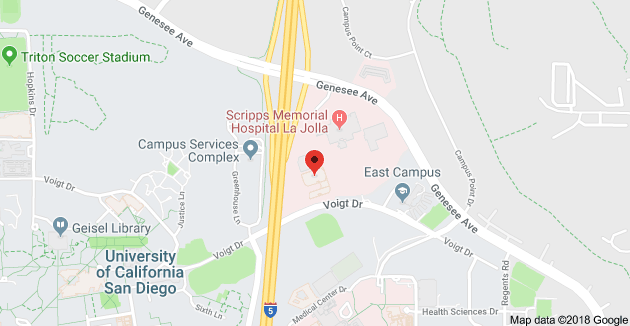 Our highly experienced team at Olde del Mar Surgical, led by Dr. Bhoyrul, is happy to work with you to determine if you’re a candidate for revisional surgery. Every case is different. Sometimes a weight loss surgery fails because it wasn’t performed correctly, while in other cases it was not the best treatment for the individual. Sometimes it’s unclear why the procedure did not work. Even if you have experienced weight regain after surgery, it is perfectly reasonable to want another chance at a lasting treatment. Contact us to schedule your consultation for revisional surgery and we will help you figure out your best option. What are some commonly performed revisonal procedures? Patients with a gastric bypass may be eligible for either a gastric bypass revision (typically making an enlarged stomach pouch smaller), or placement of a gastric band around the pouch to help with better restriction. Patients with a previous stomach stapling (or vertical banded gastroplasty) may benefit from conversion to a gastric bypass. We also have patients who have had problems with their gastric band, who may lose weight with a conversion to a gastric sleeve or gastric bypass. Additionally, patients who have had difficulties with sleeve can sometimes have a gastric bypass surgery. The most common reason for converting from a sleeve to a bypass, acid reflux. In some cases, conversion to a gastric bypass can also help with additional weight loss. How are revisional procedures performed? Even though revision surgeries are usually somewhat more complex than initial procedures, Dr. Bhoyrul is an expert at these operations. We are usually able to perform our bariatric revision surgeries using laparoscopic techniques, even in circumstances where patients have had previous open surgery. This gives you the best chance for a shorter recovery, less pain, and less scarring than with an ‘open’surgery. 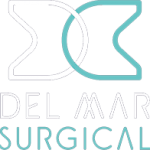 At Olde del Mar Surgical our goal is to get to know our patients and figure out the emotional, physical, and medical reasons for weight regain, and address each of these components separately. After a complete clinical assessment, it may be appropriate to team up with a psychologist, endocrinologist or gastroenterologist, depending on our findings. We will treat you with compassion and understanding, with the goal of helping you find the success you want. To learn more about revisional bariatric surgery or schedule a consultation, call our office at 858.457.4917. ← Do You Know the True Dangers of Sugar?